Bye, summer, welcome, autumn! It is time to see and enjoy the bright colours and visit favourite parks and beautiful Victorian High Country towns like Bright, Myrtleford, Wangaratta, Beechworth and so on. This year in April we spent a lovely weekend with friends cycling on the Murray to Mountains Rail Trail. The weather was not perfect, as it was raining one day. However we enjoyed our trip to the colourful mountain region with lovely cool climate towns where deciduous trees come out to play and paint the town red, orange and yellow. Yes, it is autumn here in Southern Hemisphere, and we love it! We’ve been in High Country so many times, however there is always something special in every visit. 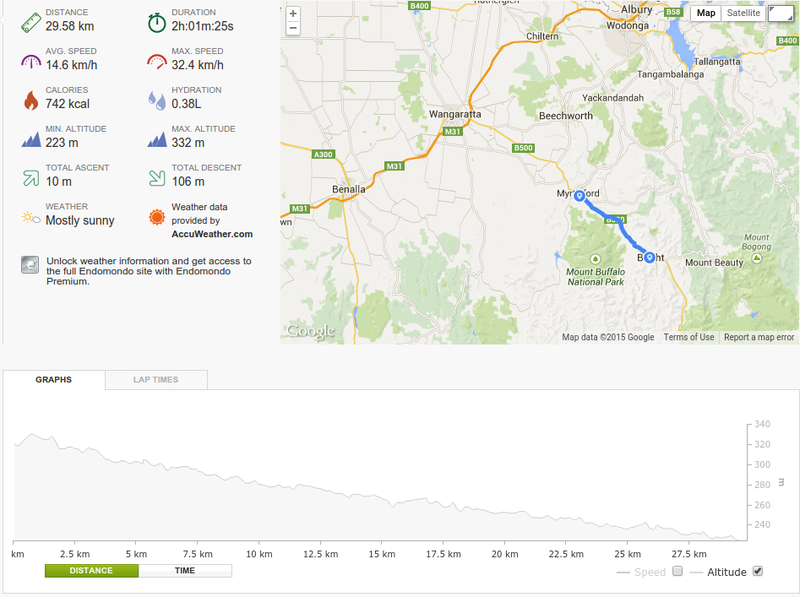 The main goal of this trip was to cycle from Beechworth to Wangaratta on one day, then from Bright to Myrtleford on the next one. As we were travelling with our friends, we could do a car shuffle and cycle mostly down the hill. Next day, on Sunday, the weather was perfect with blue skies and white clouds. 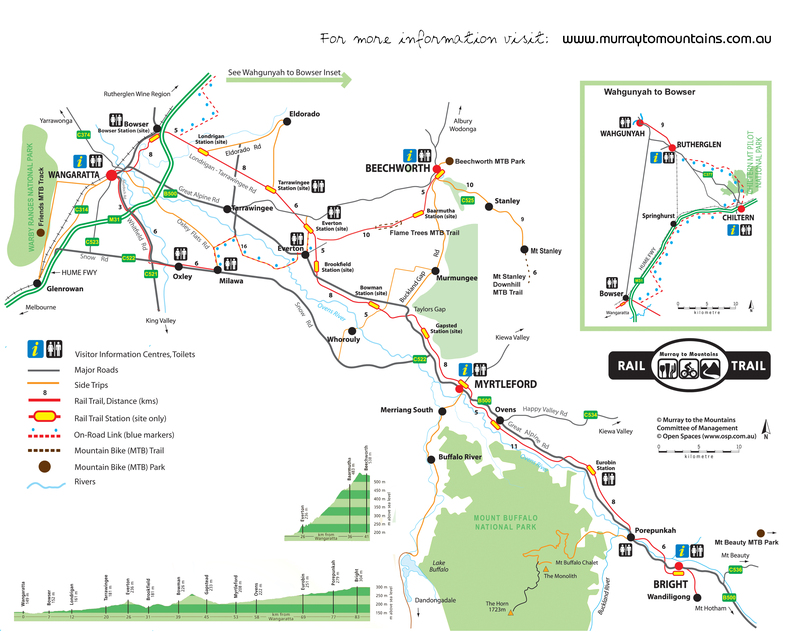 Personally I enjoyed 30kms part of the Murray to the Mountains Rail Trail from Bright to Myrtleford and was ready to cycle for some more. The rail trail is fantastic. It is fully sealed and well signed with lots of things to do on the way. The landscape of rolling hills, farmland including hop farms, vineyards, a wide variety of animals and birds, small towns, was a pleasure to cycle through especially with opportunities to stop for coffee and lunch. 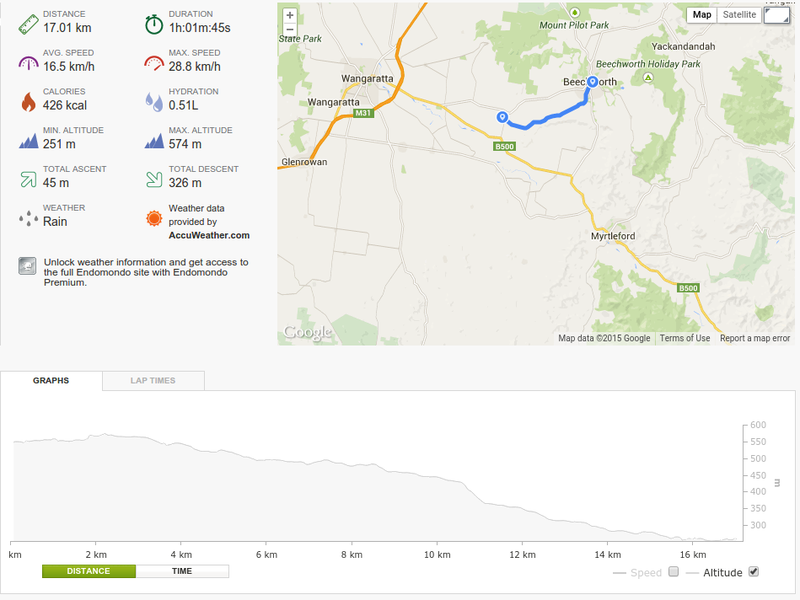 If you don’t have a bike, you can still ride the trail, as you can easily hire a bike in Bright/Myrtleford/Wangaratta. The Murray to the Mountains Rail Trail is definitely a nice escape from city living. The scenery, especially in autumn is amazing. Will ride there again and again.